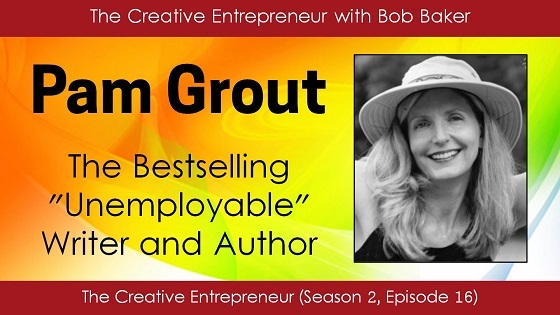 Pam Grout is the author of the New York Times bestseller E-Squared and 17 other books (including E-Cubed, Jumpstart Your Metabolism, Living Big, and the forthcoming Thank and Grow Rich). She also has an inspiring story and attitude about her 25-plus years as a full-time writer. Not bad for someone who describes herself as "unemployable." Listen to this fast-paced interview as Pam shares how she carved out a career ideally suited for her, and how she overcame some "dark days" several years ago when things weren't going so well. Click Play. You'll be glad you did!